Ransomware is just plain nasty. Not familiar with what exactly that is? Unfortunately, the answer is in the spine-tingling name: hackers encrypt computer files hold them ransom until victims pay to restore their files. Last month, the WannaCry ransomware attack hit 200,000 computers across the globe. 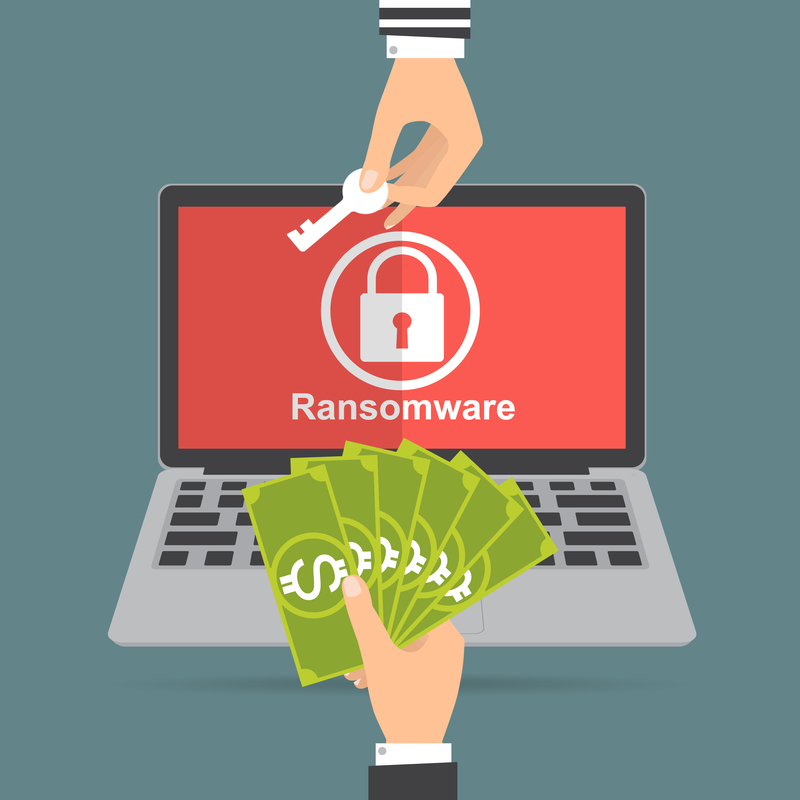 While this particular attack is no longer going on, ransomware itself is still around. In a recent New York Times article, it stated it’s “one of the popular and lucrative ways to attack computers.” The FBI now puts the yearly total at one billion dollars in ransomware payments. Businesses and organizations are definitely targets. Recently a school district in South Carolina had to shell out $8,500 in Bitcoin to get their systems unlocked after hackers froze their network. If that wasn’t bad enough, ransomware has recently been coupled with another infamous scheme. It’s called Popcorn Time, and it’s a lethal combination where ransomware meets Ponzi scheme. Here’s how it works: You either have to pay for your files to be decrypted, or you share a link with two of your friends or contacts. If they pay up, you get your own files back for free. Always keep your computer’s operating system updated. Double-check to make sure your IT person or department has your computer setup to automatically update its operating system. In fact, Windows patched a vulnerability that allowed the “WannaCry” virus in, but many organizations didn’t have their systems updated. If they had done so, the virus would not have spread. Keep your files backed up. Do it often and store it remotely. Whether you use an external hard drive, or an online backup service, storing your files remotely is important. If the files on your computer get hacked, no big deal, you can easily restore your files from your backup. Don’t open phishy email attachments. If you don’t recognize the sender, you should be especially cautious. You should still be careful about attachments from people you do know though. The most common Ransomware attachments come as PDF and Microsoft Office attachments. Be sure your antivirus software is updated. Malware is constantly evolving, making it difficult to protect against. Keeping your company’s antivirus software up to date is still the best way to stop any initial attacks. For businesses that don’t want to have to think about it, TDS Internet Security (powered by F-secure) takes care of any worries when it comes to virus protection and round the clock security updates. Provide Ongoing Security Awareness Training. Cybersecurity threats will continue to find new ways to cause havoc for companies and their employees. Implementing an ongoing security awareness program will position your company and your employees to handle them appropriately and mitigate business impact.